I started this list as I thought of who all the great street photographers might be. But I stopped early, realizing that in photojournalism (or any of its other pseudonyms) we all photograph life in the street. Some of these photographers have made street photography the central aspect of their work, like Winogrand and Levitt. For others, like Frank and Klein, it is the piece of a complex work puzzle that made them most famous, or led to other opportunities. Residents kill doves for a meal in a dusty lane in the old city of Timbuktu. © Kevin Moloney, 2008. This is a very common problem for young photographers (and old). We love how photographing someone pulls us into their world. But street photography can feel a bit more like an attack, or sniping. You’re often making images without explicit nor even tacit approval. This is also the single hardest thing to which young students of photojournalism must adjust. Even those who have worked cameras for years grew up posing family or making live images of friends with whom they are comfortable. Then I come along and ask them to hunt. It’s an initially daunting task. A bride poses for pre-nuptial photos near the Church of Nossa Senhora da Conceição, or Our Lady of the Immaculate Conception, in Ouro Prêto, Brazil. © Kevin Moloney, 2009. Many sense that the world has changed and the streets are meaner to a camera than in the past of Cartier-Bresson, Levitt and Evans. I do agree that there was perhaps a sweet spot, when cameras were familiar enough and photos not easily published in a way that the subject would feel harmed. There may be some truth in the idea that today, with the Web’s ubiquity and possibility, that any image can affect or harm you. Maybe today, a camera can steal your soul more easily than before. But I think this is only a partial truth. On any given street, in any time, you could find the camera-suspicious alongside the camera-nonchalant. The situation hasn’t changed that much. And official restriction on images has waxed and waned throughout photography’s two centuries. So how did the greats act on the street? Wait, watch, shoot. Cartier-Bresson was the cat. “Like an animal and a prey,” he said in The Decisive Moment, an educational program produced by the ICP and Scholastic in the 1970s. A nervous hunter, he scanned the world in front of him to anticipate the moment where something slight or something grand would unfold. “That’s why it develops a great anxiety, this profession. because you’re always waiting… what’s going to happen? What what what what? In photography you’ve got to be quick quick quick quick. Like an animal and a prey, braaam like this. You grasp it and you take it and people don’t notice that you’ve taken it. Granted, now we have cameras that can make more than ten frames per second. How could you miss? Travelers pass a Tyrannosaurus Rex display at Pittsburgh International Airport advertising the Carnegie Museum of Natural History. © Kevin Moloney, 2007. You miss by becoming a massive presence on the street. The big cameras that do that can be intimidating enough. But add to that the assaulting power of a motor advance ripping at you like a machine gun, and suddenly everyone feels attacked rather than honored by the image. Indeed we may soon find that some of the most important street images are being made with ubiquitous and inoffensive cell phones. If Cartier-Bresson was the cat slipping elegantly and unnoticed from portico to portico on the street, Garry Winogrand was the nervous, fast-walking, bemused, gleeful, grunting American bear rumbling down the sidewalk. His approach was as different from the French style as his images were. He waded into the stream of street traffic and deftly snatched salmon from the upstream flow. “Yeah. Oh yeah. You know, he set a tempo on the street so strong that it was impossible not to follow it. It was like jazz. You just had to get in the same groove. When we were out together, I wasn’t watching him — we were both watching the action around us — but I did pick up on his way of working and shooting. You could see what it was in his pictures. They were so highly charged, all you had to do was look at them and you began to assume the physical manner necessary to make pictures. They showed you right away that they were an unhesitating response. Walking the streets with Garry gave me clues to being ready, to just making sure that I was. I had been a third baseman, so being ready came naturally. I was a quick study on that stuff, darting and twisting and the kinds of moves that were necessary to get a picture. Winogrand was so keyed up about making photographs that he is said to have left behind 2,500 rolls of undeveloped film and 300,000 unedited images at his death in 1984. With those numbers you might have expected him to have loved the motor drive. 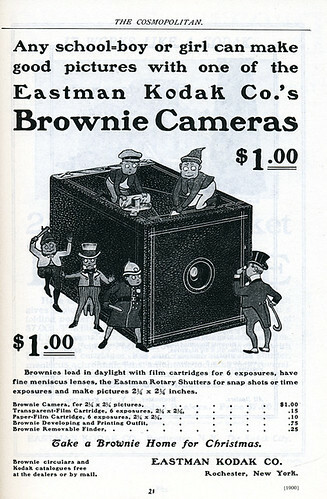 But he used the same little rangefinder cameras as Cartier-Bresson, Robert Frank and others. He was just a relentless hunter. A boy walks below artfully painted walls in the village of Pucará, Bolivia. Ernesto “Che” Guevara was captured by the Bolivian army in 1967 in a nearby valley and executed in nearby La Higuera days later. © Kevin Moloney, 2004. He also moved quickly, pushing his Tri-X film to ISO 1200 and higher so he could shoot a 1,000th of a second shutter speed at f/16 and never miss a moment from blur or focus. He did this through much wider angle lenses than Cartier-Bresson. He marched down the street, straight toward his subjects and whipped up the camera the moment he or they passed. It was like a surprise punch. He wouldn’t stop, wouldn’t look and wouldn’t engage. He simply marched on with a bemused smile. Of course, in my classes he would also be forced to engage with subjects in ways he didn’t. I require IDs and full captions to build reporting skills and skills of engagement with subjects. The game changes when you must shoot at, then talk to, a subject. “I go where there’s a lot of activity. Children used to be outside. Now the streets are empty. People are indoors looking at television or something. The streets were crowded with all kinds of things going on, not just children. Everything was going on in the street in the summertime. They didn’t have air-conditioning. Everybody was out on the stoops, sitting outside, on chairs. Cuban elementary students line up in martial form after a field trip through the city. In Cuba, the land of party-run TV, nobody stays in to watch television. © Kevin Moloney, 2001. But Levitt did admit to Block that she used a right-angle lens from time to time, deceiving people around her about where her camera was aimed. Perhaps Helen Levitt simply made a natural act of photographing on the street, analyzing not the act but the result. A local theater troupe promotes an upcoming show at a Lafayette, Colo., street fair. © Kevin Moloney, 1999. So how do you roll, then, looking for Cartier-Bresson’s complex fleeting moments, Winogrand’s sanguine street document, Frank’s dark beat poem or Levitt’s sensitive and charmed glance? Body language is everything. We have a choice of being quick like Cartier-Bresson, elusive like Winogrand, or disarming like Levitt. A young girl in traditional Indian dress dances through Cuzco’s Plaza de las Armas as her brother hangs onto the family dog at rear. The kids were put on display for their mother to attract alms from passers-by. © Kevin Moloney, 1996. Carry yourself with sincerity no matter what method you might choose. If you appear to have the right to be there with a camera, passers-by will assume you do. If you relax, appear to be having fun and mean no harm, you might be more easily tolerated. Let your intent for photographing appear on your face. If you are charmed by someone’s antics, smile as you photograph. If moral outrage shared with a subject drives you, carry yourself with concern and sincerity. Never appear critical, unless you are as big as Garry, as surly as Weegee or as fleet as Henri. When caught, engage. Walk up with a charmed smile and explain who you are and why you’re photographing. Be ready to share. Offer images to your subjects and they will feel less like they’ve been exploited. Give them your e-mail address. Don’t ask for theirs. Teens Ariel Farmer, 14, left, Kyla Sharp Butte, 14, center, and Will Sharp Butte, 15, hang out on the hood of a car in the parking lot of a convenience store to pass time on the Rosebud Sioux Reservation in southern South Dakota, Thursday, May 24, 2007. An epidemic of teen suicides and attempts has reservation adults worried. Making these images caused a worried father — even one to whom I had introduced myself — call the tribal police. © Kevin Moloney, 2007. Expect the protective concern of parents. Children are one of the most fun of street subjects because they live their young lives with little restraint or self- consciousness. But thanks to the creeps out there, they may fear for their child’s present and future safety when someone makes a picture. Photograph those kids just the same, if possible without affecting the scene by asking first. But as you do, glance around for parents, and if found, make eye contact as soon as possible with a nod and a smile. As soon as you can, introduce yourself and offer a business card and copies of the pictures. Proud parents will love the images and trust more the person who is unafraid to say hello. If there are no parents apparent, ask the children where they might be and find them. If unfound, give the child a card, because Johnny or Mary will surely talk about “that nice bearded photographer with the sunglasses who took pictures of me in the park.” You’re asking for calls to the police if they don’t know who you might be. But there is no specific recipe for success. You will surely find fun, pleasant and trustworthy people who feel honored by your attention. And even the most bright-faced young photographer with the biggest smile will encounter people accusing her of being a freak, a creep or a terrorist. Pigeons fly overhead as a Havana resident looks up to gauge the day’s weather. © Kevin Moloney, 2001. Get your street legs by photographing public events. People are not surprised by being photographed for no apparent reason at a parade, festival or event. Then take your confidence out to the everyday world. Though you have a right to photograph on the street in the U.S. and most places, when you encounter resistance, apologize and walk away with a smile. You’ll never convince them of your rights anymore than they will convince you with their indignation. Make those images. Explore the visions and moments of the street and leave a document of the 21st century as valuable as the one our predecessors left of the 20th. This is one of those terms you’ve heard before, but might not have ever gotten to fully understand. It is what it sounds like — thoughts out of tune. More particularly, it is the feeling we get when our thoughts, beliefs and morals clash with our actions. It’s that uncomfortable feeling we have after we buy something we really couldn’t afford, or do something we know we shouldn’t do. As adaptable beings we dispatch that feeling with justifications. “I really need that new [insert toy name here] even though I ain’t got the cash, and here’s why…” Aesop had a good fable that fit this too. A fox sees some grapes hanging too high to reach. After trying to get them and failing, he struts off arguing to himself that they must not have been worth eating. It’s where the old “sour grapes” saying comes from. We are also prone to justify away the dissonance we would otherwise feel when we take a shortcut we know we should not take. In journalism justifications like that pop up frequently to argue why something considered unethical should be seen as okay “under the circumstances.” You’ve heard them: “magazines are different from newspapers” or “the cover is an advertisement” to explain away a breach of journalism ethics. Our ethics should determine our actions, of course. But there seems to be an unending stream of ways journalists justify letting their actions determine their ethics. Neither market forces, ease nor style should trump ethics in the images we produce or how we use them. If we act like we are delivering truthful information, then we must follow through on that promise. It happens among photojournalists more often than we might think. We pay a lot of attention to the egregious breaches of our ethics: major alterations, serious cases of reenactment or direction of what would appear to be a spontaneous moment. But as professionals who document reality we need to stay aware of how we might let convenience, competition, drive for a style or a wish for the approval of an editor or producer affect our work. This can come down to many of the mundane tasks we perform in our work, including — to pick only one example — things like toning an image. There’s a difference between choosing a moment of perfect light and color that actually existed and fixing dull light to make it more dramatic in a photo. We like dramatic images. They attract reader interest, appeal to editors and feel satisfying to us. But isn’t the satisfaction and pride much stronger when we took the time and energy to seek out the light and color rather than pumping it up with software tools? And isn’t it simply more honest? Our talent — the one that separates us from all the other flavors of photographer — is that we capture reality quickly and delicately and without influence. It is an incredible skill that takes great attention and effort to develop. We take pride in our ability to think and act quickly and to know the story as we are seeing it happen. We slice telling moments out of the unstoppable flow of time, and when we miss, we miss. Having made all that effort to catch the decisive moment without any before- or after-the-fact fixing, why would we let any overrated sense of market pressure discredit that work? Look again at Cartier-Bresson’s images in which the moment and geometry are so perfect that trivial stylistics like color and contrast don’t matter at all. I am not making an excuse to shroud dull images in a cloak of ethics. Our challenge is to find the impressive image in any circumstance — no matter how colorless or flat in light — without needing to embellish it after the fact. We do that by skillfully getting to the right place at the right time to capture true storytelling images and minimizing our influence on a scene. If any of our actions need a justification to exempt them from our core ethical standards, then those actions need to be reconsidered. It is our ethics that must determine our actions, not the converse. For an entertaining and disturbing look at cognitive dissonance at work in the cable TV world, have a listen to radio producer Rebecca Hertz’ piece on how process trumped ethics in the production of a reality TV show, for NPR’s Snap Judgement. In the show segment she compares the experience of the producers and participants to the Stanford Prison Experiment of the 1970s. Transmedia Journalism: A new storytelling strategy and a blog to go with it. If you are here, reading this, you know that journalism is having some trouble. Not only is the economic model that used to pay for it sinking fast, but journalists are having a harder time reaching the public with their work in a very diverse and dispersed mediascape. This new blog and my ongoing research is mostly about the latter problem, though all of journalism’s woes are inextricably linked. Rather than waiting for the public to come to us for the news, we need to send our work down every conceivable avenue to find the public — new publics too — and win their engagement and loyalty. We need to improve the way we tell stories. That is where the title of this new blog comes in. “Transmedia” is one of the top buzzwords of the past two years in the entertainment and advertising industries. It is proving to be extremely effective in reaching and engaging the public in those two realms, and there is much about it that we can put to use in telling the informative and factual stories journalists want to tell. Hollywood and Madison Avenue are using transmedia techniques to win more fans and engage them more deeply. That’s something we should want too. Transmedia storytelling is not just convergence or multimedia by a new name. It’s also not an entity solely of the digital age. The Web is an excellent tool for much of it, but a transmedia story doesn’t unfold there or in any other single medium alone. It can, however, use any aspect of any media from the cave painting to the latest killer app. Transmedia storytelling and the transmedia journalism I propose tells stories across an array of media — analog, digital and even brick-and-mortar — in an expansive rather than repetitive way. That would mean telling a complex story not only across the usual print, Web and broadcast media, but possibly through books, games, immersive experiences, graphic nonfiction (comics), gallery walls, museum installations, public lectures, public interaction and authorship, or any other medium appropriate to the story. It also means not simply re-editing a story for repetition among those media. Star Wars did it largely by accident. Starting with one film in 1977, the story proved so compelling and engaging that it exploded across the mediascape from films to comics, books, games, toys, fan fiction and video, and any other medium you can think of. Inspired by this, creators of The Matrix franchise in the late 90s designed a similar experience from the start, planning how their story would unfold not only on the screen, but continue through all those other media and more. Since the Matrix tale began more than a decade ago, other entertainment franchises, like the hugely successful Lost TV series, have successfully used transmedia storytelling design to rivet fans and put them to work finding, sharing and shaping stories. As the new blog unfurls I will describe what transmedia storytelling is, where it comes from and how we can use it within the goals and ethics of journalism. It will come in both appetizer- and entree-sized chunks, but if you’re a big eater you can download the full academic paper. You’ll also see links there to all the pieces of important context and background on transmedia storytelling and transmedia journalism as they are published. Subscribe to the feed or the related tweets to know when there’s something new. That blog will also be a hub for my ongoing research on the subject, and a place to air my and your related discoveries about it. Post links to interesting examples of transmedia stories from any industry, and send observations and suggestions my way. I’d love to hear them. And what does it have to do with photojournalism? I believe we visual reporters are very used to the idea of telling stories by alternative means. This post is the barest scratch of the surface of what will come. Look ahead for deeper explanations of what transmedia storytelling looks like in the entertainment media — with many linked examples — places where journalism has gone before, and what transmedia journalism might look like — also with many linked examples. To start a deeper exploration go to the Contexts page there, and stay tuned to it is as the background and examples are posted. The journalism profession is not short on experimentation with new ideas, new technologies and new storytelling methods. But they seem more like attempts to keep the publics they used to have than to find and engage new ones. I believe by adopting the techniques of transmedia storytelling, we can reach out to new readers, viewers, listeners and interactors in the media spaces where they already are, and engage them more deeply in complex real-world stories. It could certainly be easier than reviving our old model of expecting them to come to us. U.S. Highway 666, Sheep Springs, N.M. © Kevin Moloney, 2003. Why does photojournalism addict us and make us want so badly to do this even though there are better ways to make more money? The answer struck me when reading this recent book by Jane McGonigal. In Reality is Broken she describes the four defining traits that make a game a game. They are a goal, rules, a feedback system and voluntary participation. McGonigal’s book is about far more than this (see her TED talk here), but reading that fired the Sylvania Press 50 flash bulb over my head. These qualities of a game engage us, tug us along in pursuit of the goal, challenge us to do it within the rules and then reward us when we’re done. That is all exactly what photojournalism has done for me (artistic expression and “doing good works” aside). So what is our goal? We work to make an image that tells a story. That’s the simple goal. We could also extrapolate that to other grand journalistic goals like informing a democracy or bringing positive change to the world. The rules? This is where I think photojournalism differs from any other kind of photography: We must do this within the ethical boundaries and best practices of our profession. We make images of reality unfolding — no alterations before or after the image is captured. The story must be grounded in facts (or truth, whichever term you prefer) and not deceive the reader. We also work to not misrepresent the subject. Their story must be told truthfully, no matter how flattering or unflattering that ends up being. That’s a pretty tight set of rules. Feedback? We grasp our progress through a variety of means. First, we see the images we make and feel satisfied or dissatisfied with our performance. The digital age has sped this up enormously as we now see the result seconds later with a quick “chimp” of the image on the camera’s screen. Feedback increases when our editors use our images, our readers respond to them and awards judges honor them. The progression from shooting to Pulitzer medal tugs us ever forward. We do all this voluntarily, as there are better ways to make more money, and more secure — even safer — professions available to us. Modern Drunkard Magazine’s “Drunks of the Month” Andy Ayers, left, and Shorts McGraw share an inebriated moment of flirtation at the second-annual Modern Drunkard convention in Denver. © Kevin Moloney, 2005. I’ve been there as a photojournalist, when a fleeting moment magically erupts perfectly in front of me and I get it in a split second, when the subtleties of a story are unfolding for my camera, when I hit the focus on a sudden game-ending double play. I get it mostly when I am feeling happily challenged, or when I am reporting a story that may ripple through society. I feel it when I am working on the very edge of my skill level. And that, McGonigal says, is what a good game inspires you to do. Also like the play in many well-designed modern video games where moral complexity is one of the features of the game, our work has nuance. Part of what drives us is that sense of social concern and the deep involvement with moral implications of our work. In order to advance and earn the feedback of the powerful image or the holy-grail “social change,” we must maneuver through thickets of complexity. Some might “score” most easily by being aggressive shooters, marching into a sensitive scene with cameras blazing. I’ve seen this more often than I like — a camera shooter inches from the nose of the bereaved victim scoring points with the illusion of intimacy. But the vast majority of us know that sincere intimacy ultimately wins for all involved. To earn those images we tread delicately and wisely, and earn our access to the story. McGonigal argues that reality needs to be restructured to be more “gameful” and to keep us in a state of flow in places where we often are not — like when solving social or environmental ills or even while at work. I argue that photojournalism is one of the possibly few professions (bond trader might be another) where there are inherent gameful conditions that inspire flow. But perhaps we work in something more like a board game, where it is as much up to us to keep our flow as it is to the design of the game. Punta del Este, Uruguay. © Kevin Moloney, 2005. His point was that a game is about the rules and obstacles. Though it would be simplest to pick up the golf ball and carry it down the fairway to drop it in the hole, that game is less fun and ends too quickly. It’s a walk in a park with a lame purpose. Golf works because of its difficult unnecessary obstacles. In photojournalism we have a host of obstacles most of us would declare very necessary. But some are not. A classic example of unnecessary obstacles was Jim Brandenburg’s Chased by the Light project where he made only one frame a day for 90 days. Few of us can imagine the self-inflicted pressure of deciding when in that 24-hour period to make a single shutter click. Is the exposure right? Is it in focus? Is this that moment? And yet most, if not all, of those single images are better than the portfolio work of the rest of the working nature photographers out there. Technology has removed many of the obstacles that prior generations faced — making sports pictures with a press camera or twin-lens reflex for example. Making a usable image has never been easier. That’s great for me when the obstacles to getting the story-telling image come from the story itself. When photographing an emotionally intense scene, an unfolding crime, a fast-action sport or when needing to be stealthy fast, I appreciate equipment that is as invisible to me as possible. I have flow from the story already and don’t want the obstacles of difficult gear. A stream of spits shoots from the lips of an idle rodeo cowboy into exactly the right spot in the frame. Caught with a Rolleiflex. © Kevin Moloney, 1994. But not all stories are like that. When I am photographing something that doesn’t require those easy-to-use modern cameras, I find myself wishing I were making that image with my infinitely slower, much more obstacle-rich old press camera or my beloved Rolleiflex with its 12-shot roll, backward screen image and strange viewing angle. When the story is too easy, I crave mechanical obstacles. I want to feel like I am playing at the top of my skills. Pushing my awareness skills to their top performance at a press conference. © Kevin Moloney, 2006. The better way, most certainly, would be to find how that story can go farther, how I can go deeper into it and work at the top of my mental skills without the artificial obstacles of a leaf shutter or sheet film. But often for me, happiness comes from having the very unnecessary obstacles of quirky old gear, or the circumstantial obstacle of a foreign language, or artificial limit of one camera and one prime lens. There is a great risk of semantic misunderstanding by describing our profession as gameful, to use McGonigal’s term. I would be cautious to describe it as a game because of how we too often see games as meaningless pursuits and time not productively spent. Photojournalism is a serious profession that enters the lives of people at both their best and their worst moments. To imagine a journalist as out to score points is both inaccurate and offensive. McGonigal does not argue we should make reality less serious. She argues that we should take what makes games work so well and apply that to reality. Though photojournalism is not a game in terms of what that label may imply, it is certainly gameful. Perhaps that’s why we love it so much. And understanding those gameful characteristics may be a valuable way to keep ourselves engaged with our profession, out of slumps and working at the top of our skills.